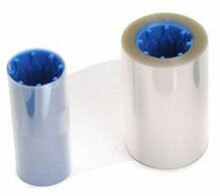 800084-914	 I Series, 1 Mil Top Clear Laminate, 625 imprints per roll. The added layer of laminate protects your card from normal wear-and-tear on your printed cards, as well as extra protection from fading. Laminate must be used with a printer which has lamination capabilities. Compatible with ZXP Series 8 and ZXP Series 9 Printer. The Zebra 800084-914 is also known as ZCD-800084914	or 800084914	.